I hope everyone enjoyed their Thanksgiving Holiday. We sure did. 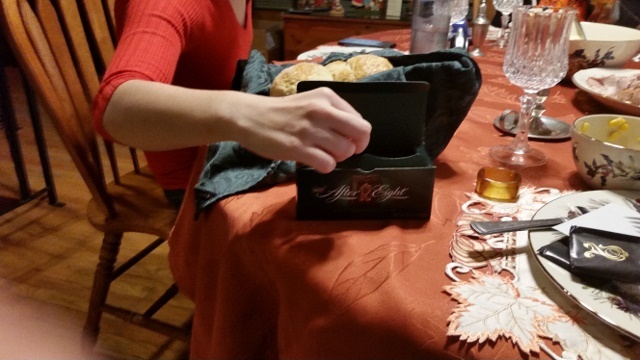 We have some sweet traditions for Thanksgiving. 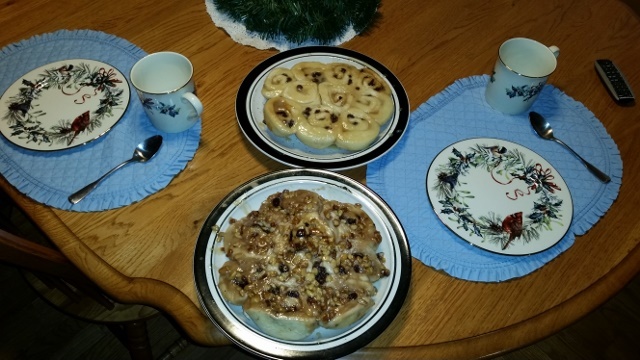 We start the day off with sticky buns. I have been making these for 25 years and always have them on Thanksgiving. I make one with nuts and one without to keep everybody happy. 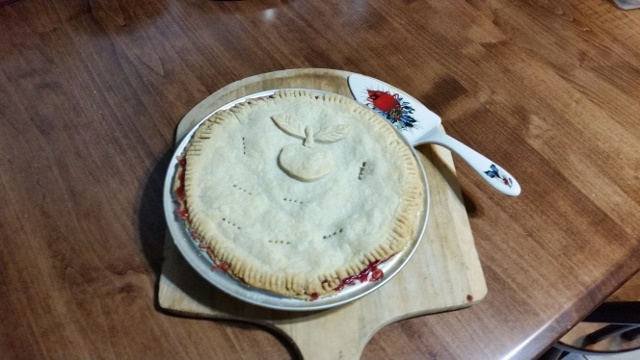 For dessert I make a cranberry apple pie. This is a relatively new tradition of maybe 5 years. The cranberries get cooked into a jam-like consistency and spread into the bottom of the crust. The apples are pre-cooked and put on top of the cranberries. This makes a two layer pie with sweet apples and tart cranberries in every bite. Lastly is a tradition from my mom. She is from England and we always had After Eight mints at the holidays to finish the meal. The pie sounds good - any chance of posting the recipe? Combine flour and fats. Use a pastry cutter and blend until coarse. Add water. Mix until dough holds its shape. Refrigerate for 1 hour. Divide in half. Roll one piece out into rectangle. Fold into thirds like a letter. Roll flat and fold again. Repeat once more. Continue rolling until a 9 inch diameter circle. Transfer to 9 “pie plate. Heat all ingredients in a saucepan on stove top. Stir occasionally using back of spoon to crush cranberries. Cook until a jam like consistency. Remove from heat. Add water, stir and allow to cool. Mix dry ingredients. Sprinkle over apples in a large microwave safe bowl and toss to coat. Microwave on high for 3 minutes. Stir. Repeat for a total of 3 or 4 times until edges of apples are translucent. Set aside and cool. Transfer cranberries to crust in pie plate. Spread into an even layer. Top with apples. Add top pie crust. Crimp edges to seal and poke vent holes. 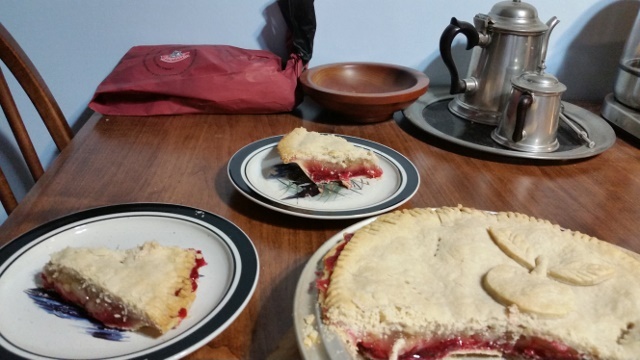 Place filled pie plate on a cookie sheet and put into oven. This pie will bubble over so a cookie sheet is needed to catch drippings. Bake 10 minutes. Reduce temperature to 350oF and bake 40 – 45 minutes until top is golden.